Central Leicester Badminton Club has something to offer everyone if you're looking for a good standard of competitive league badminton . We are the biggest badminton club within the City (Adult membership over 40 plus junior membership over 50). We currently have a very strong and active membership of over forty with 8 teams playing in the Leicestershire league (3 Mens, 1 Ladies, 3 Mixed and 1 NewHall). There is an excellent mix of male, female and juniors spanning all ages with standards ranging from ‘improvers’ to very good club standard players. We have a number of qualified badminton coaches as well as players who have represented Leicester at various levels. Our members also regularly participate in local, regional and national badminton competitions. As a club member, you will be registered with Badminton England for personal accident insurance, discounts to badminton events and access to Badminton England sanctioned tournaments. We currently have fulfilled our senior membership quota for the 2017/18 season. However we might have openings for ladies, if you play to a good standard please get in touch with us! 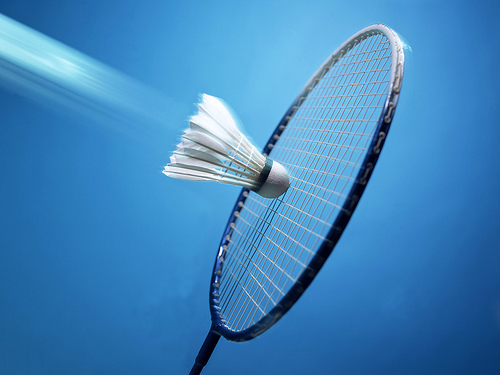 However, if you are looking to play competitive league badminton or are just looking to join a club, please visit the Leicestershire Badminton Association website which has more details of other clubs in the county.